In a lively guessing game format, find out why the feet of tree frogs, and those of eight other animals, are perfectly adapted to their habitats. Illustrated with brightly detailed paintings, this simple, informative text will have children looking at feet in a whole new way. 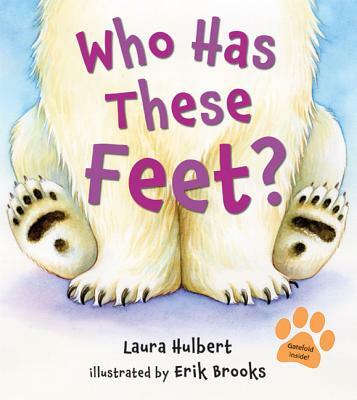 Laura Hulbert has been an elementary educator for over twenty-five years and is the author of Who Has These Feet? She lives in Brooklyn, New York, where she is currently a learning specialist at Brooklyn Friends School. Erik Brooks has illustrated, as well as written, a number of books for children, including Polar Opposites and The Practically Perfect Pajamas. He, his wife and daughter, and their dog, Max, live in north central Washington State.